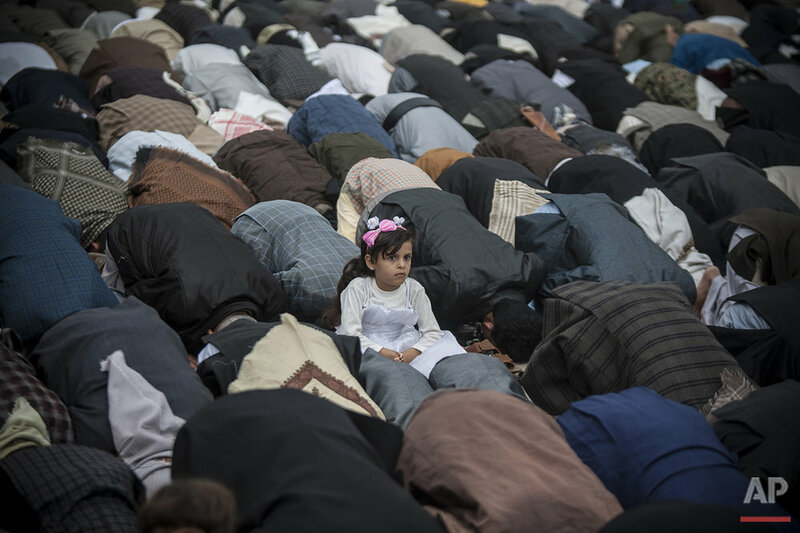 Muslims around the world are celebrating the Eid al-Fitr holiday, a time for family and feasting, to mark the end of the holy month of Ramadan and its daytime fasting. Businesses closed across the Muslim world, as people dressed up and visited relatives, enjoying their first daytime meals in a lunar month. Mosques hold special prayers at sunrise, and children are often given gifts or a special allowance. The holiday lasts one to three days, and is eagerly anticipated after the month of fasting. During Ramadan, the faithful refrain from eating, drinking, smoking or sexual activity from dawn to dusk, with even a small sip of water enough to invalidate the fast, which is one of the five pillars of Islam. For the world's 1.5 billion Muslims, Eid al-Fitr is second only to Eid al-Adha, which comes around two months later. Ordinarily a festive occasion, this year' Eid comes after a month of attacks by Islamic extremists that killed more than 350 people in several countries, including a suicide truck bomb in Iraq that claimed at least 175 lives and a suicide bombing outside the Prophet Muhammad's mosque in Saudi Arabia, one of Islam's holiest sites. Wars are raging in Syria, Iraq, Afghanistan and Yemen, as tensions between Saudi Arabia and Iran exacerbate political conflicts throughout the Middle East. 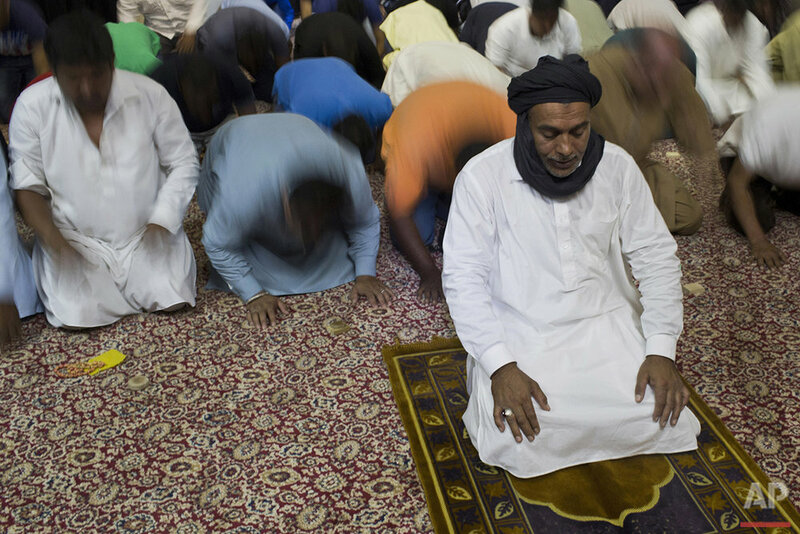 The two powers have cast their rivalry in corrosive sectarian terms, with Saudi Arabia positioning itself as the champion of Islam's more numerous Sunnis and Iran claiming to lead the faith's minority Shiites. In the disputed Kashmir region on Wednesday, Muslim protesters hurled stones at Indian police, who fired tear gas and pellets to disperse them. 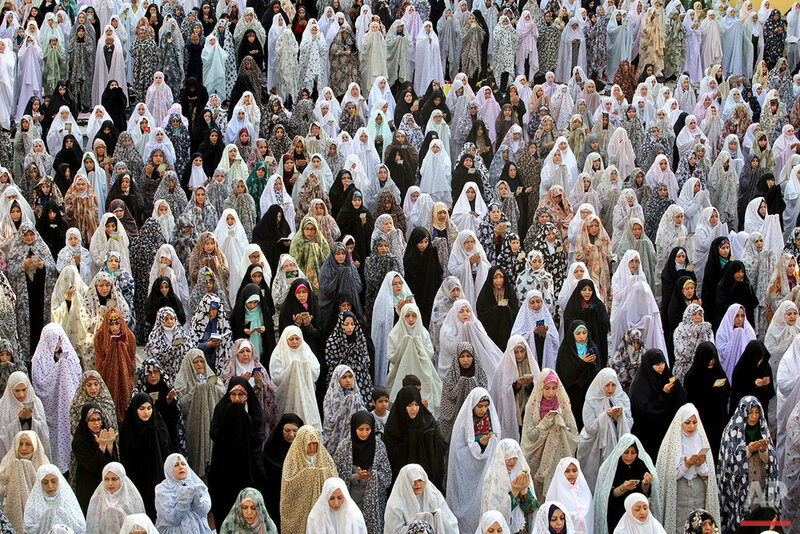 Here is a selection of Eid al-Fitr photos from around the world. 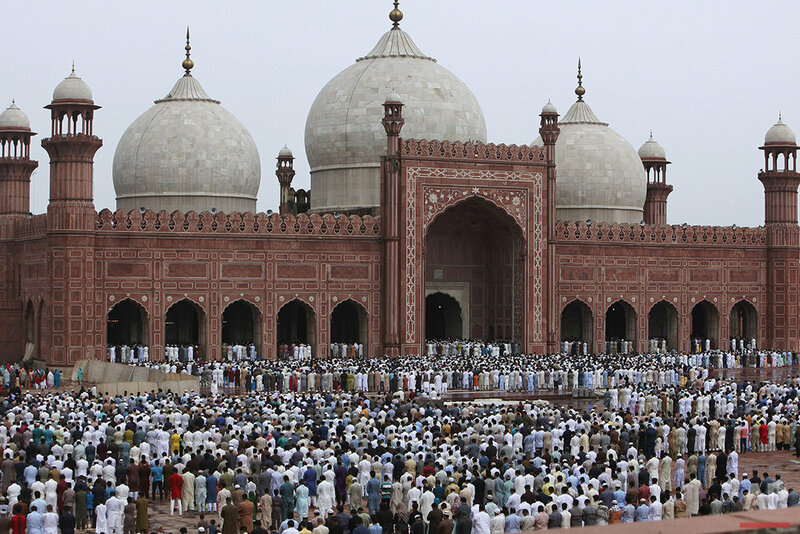 Text from the AP news story, AP PHOTOS: Muslims celebrate Eid, marking Ramadan's end.